Op-ed: Although the transfer of the Russian air-defense system to Syrian military could impede the IAF planes from operating freely, the IDF has been preparing for this event for the past 20 years, and Israeli policy in the region will not change. The only dilemma Israel might have to face is what will it do if Russian forces are the ones operating the anti-aircraft system? 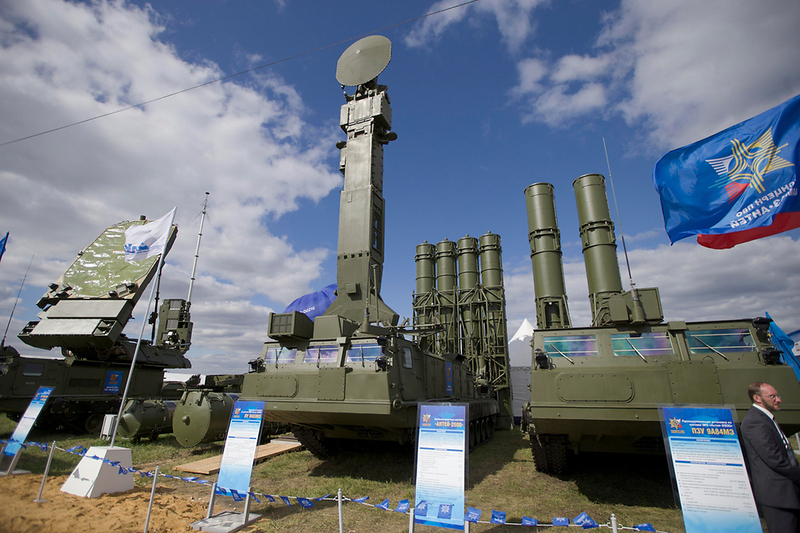 At first, it seemed that the Russian threat to supply Assad with the S-300 system was yet another in a long line of warnings we have heard before. However, this time it looks much more serious seeing as Russian Foreign Minister Lavrov claimed on Wednesday that the transfer of anti-aircraft missile systems to Syria already started. For years, Israel, through diplomatic efforts, have been trying to prevent Syria from acquiring the advanced air-defense system. Today, the even more advanced S-400, is already in limited use by the Russian military, which has not been able to affect the Israel Air Force’s activity so far. The efforts to prevent the deal from being completely finalized will continue in the near future, but in order for them to succeed, Jerusalem needs Washington— which until John Bolton’s statement of support a week ago ago, had not make an effort to be involved in the current crisis. Although the punitive measures—including the blocking of satellite navigation systems, radars and inter-aircraft communications—are expected to make the IAF’s operations in Syria very difficult, the IDF has been preparing for the arrival of the anti-aircraft system for the past 20 years. According to foreign reports, IAF planes conduct training sessions in friendly states several times a year, attempting to acquire skill in dealing with such missiles. In addition, the Syrians still do not know how to operate the system. As we have seen in recent years, especially during the downing of the Russian plane, the skill level of the Syrian army is amateurish at best, and they are liable to endanger not only Russian and American aircrafts but civilian ones as well. In any event, the process of training the Syrian personnel in order to properly use the new system is expected to last for several months, which actually presents a problem for the IAF, seeing as the Russians might be the ones operating it until the Syrians are ready to step in. Israeli policy in Syria is not expected to change in the meantime, and not only regarding strikes targeting shipments of weapons but also when it comes anti-aircraft systems as well—which will be destroyed if they endanger IAF’s planes. However, if the systems, as assumed earlier, will be operated by Russian soldiers, the dilemma whether to strike or not would become more complicated. There is probably a solution to this dilemma as well but it’s clear that this situation is problematic even though the IDF assesses that the probability of the Russian soldiers shooting anti-aircraft missiles at IAF aircrafts is quite low. It’s also important to remember that the Russians know the IAF preparedness level is high, and the last thing they want is to be embarrassed by an incident that might affect negatively their arms industry. It is also unclear what will be the fate of the Iran-Syria-Hezbollah weapons smuggling route. The Iranians may prefer to halt the arms shipments until the system is in place and operating. The announcement of the Russian Defense Ministry—which is still unable to admit that the Syrians were actually at fault for their plane’s downing, included a series of falsehoods that can easily be refuted with the documented evidence. For example, the claim that the Russians were given only one minute warning by the IAF, when in reality it was 12 minutes, and according to the Russians themselves, the plane was hit 25 minutes after the Israeli warning was received—enough time for the plane to make its way back. The argument between the two sides about the timing raises another question: When is the warning supposed to be given? The bottom line is that the statement by the IDF Spokesperson’s Unit indicates that Israeli policy regarding the smuggling of Iranian weapons through Syria will not change. Who among all the players involved in this crisis will stand behind their statements? We will wait and see.